The Spread Offense has taken the Football world by storm in the past decade. Defensive Coordinators have been struggling to find answers to keep up. The 4-2-5 Defense can be one of those answers. The 4-2-5 Defense is a simple but versatile defense. You can adapt to any offensive attack, while keeping teaching simple for your players. Keeping the defense simple means keeping your players confident. And confident players play fast. Simply running the 4-2-5 Defense won’t solve all of your problems though. You have to understand it. You have to communicate how to stop the Spread Offense to your players. You have to create and install the Winning Game Plan. 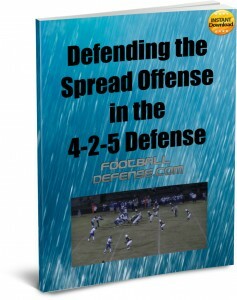 Defending the Spread Offense in the 4-2-5 Defense takes the hard work out for you. This instant download manual gives your football team the game plan to stop the Spread Offense. Run fits for the top Spread Running Plays including: Zone Read Option, Speed Option, Stretch, Dart and more. Get your players in the right place, every snap. Pass Coverages to handle the hottest Spread Passing Attacks. Your defense will create a No Fly Zone that keeps the opponent’s offense grounded. The Defensive Call for each play, including fronts, stunts, blitzes and coverages. Your game plan will include exactly the calls you need to take away their best plays. The best Zone Blitzes for attacking the Spread Offense. Dictate the tone of the game to your opponent – not the other way around! Over 125 Detailed Football Coaching Diagrams will show you exactly what it takes to stop the Spread Offense. This is a complete analysis of the Spread Offense, in a simple to follow manual that 4-2-5 Defense and 4-4 Defense coaches will be able to implement this season. No complex theory, no B.S. coach-speak. 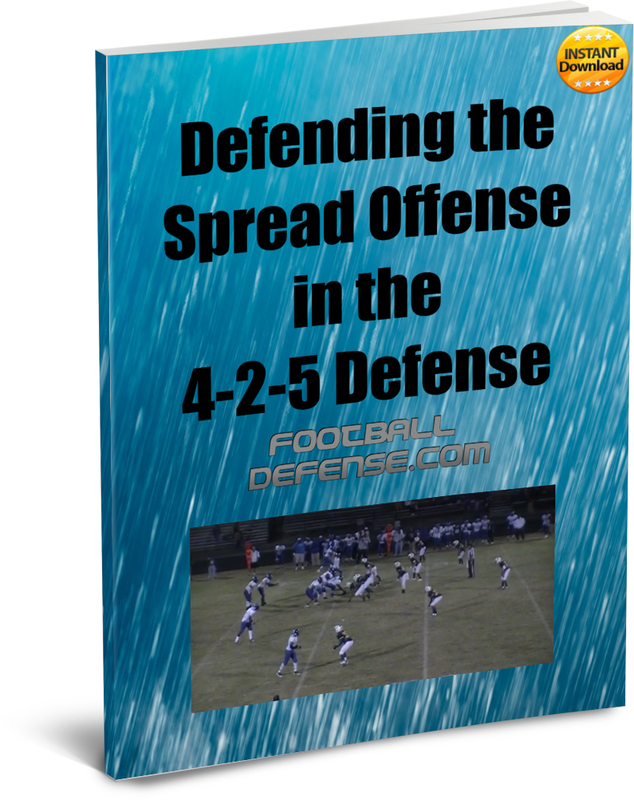 The best part is that you can get the Defending the Spread Offense in the 4-2-5 Defense eBook right now, for instant download. Now waiting. Get to work right now, in the next few minutes.